Edward L. Loev, DMD (San Francisco) - Book Appointment Online! 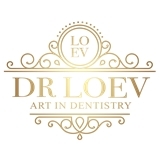 Dr. Loev and his team of highly trained professionals want you to have an experience unlike any you have had at the dentist. We like to think that we are an extraordinary dental practice that is all about you -your potential, your comfort, your health, and your individuality. You are important to us and we strive to help you in every and any way that we can. We understand that you may have felt like a nameless face somewhere in the world of health care in the past, but we want you to feel important and well cared for when you visit us. Your genuine care and comfort is our passion. From complete examinations and cleaning to full mouth makeovers using the best materials and high tech tools we can help you create a program of care that is just for you. Dr. Loev and his office staff are the best out there.